The amazing little town of Stelllenbosch, is just outside Cape Town and is one of the most fascinating places in South Africa to visit. 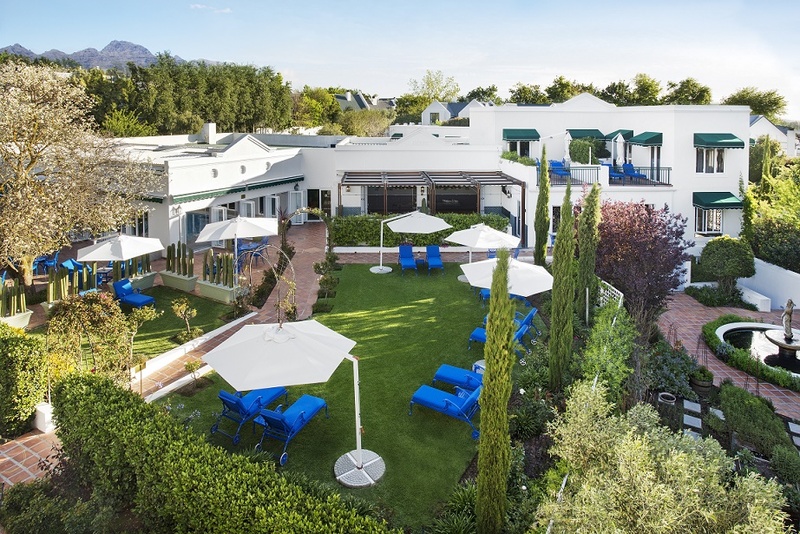 The blissfully private Majeka House is near all the wonders of Stellenbosch, a mere five minutes drive from the village centre. The epitome of tranquil luxury, this owner run property is the place to be. This designer property with lush gardens, private balconies and terraces, beautiful spa with heated indoor pool, sauna, steam room, fitness centre and jacuzzi and Makaron Restaurant which is the ideal place to enjoy a good meal paired with superb wines. The M-lounge is the perfect place to enjoy a glass of bubbly or a cocktail.